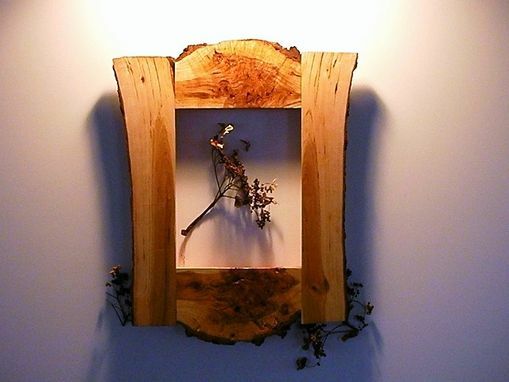 This is a very cool frame from a burl I've had in my shop for years hoping to slice up and see what came out of it. I was very pleased with what showed up! Dimensions: Rabbet size, 8"x!0". Overall size is 141/2"x18"x11/4" Rabbet size indicates outside dimensions of object being framed.